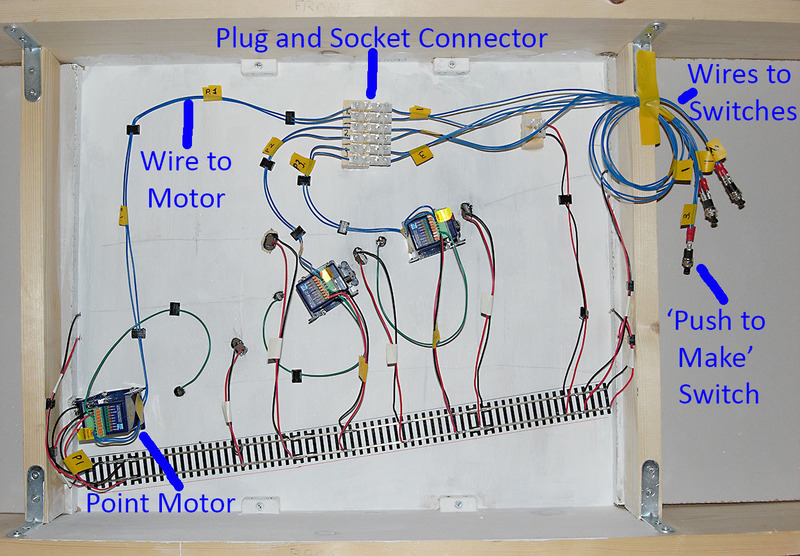 It is a simple job to wire up the switches for the point motors. Two wires need to be connected to the switch terminals on each Cobalt point motor, these are the blue wires in the photo. I’ve connected them to a ‘Plug and Socket Terminal Strip’ connector. On the other side of the connector are the wires to the switches to change the points, in this case the black ‘push to make’ switches in the photo. These will be installed in a control panel. The connector will make it easy to remove the control panel if I want to transport the layout. Now that reminds me…. I need to make a control panel !